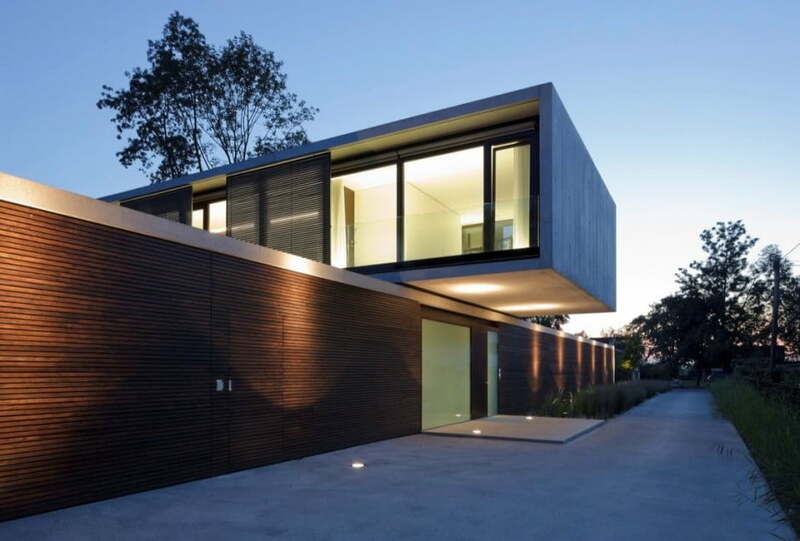 Contemporary Modern House Characteristics Defining by Two Stacked Volumes for LK House in Austria. This is an example for those who really looking for what is contemporary style with material. And how it executed with cutting edge architecture. A play of two volumes stacked one on top of the other was the design proposal. 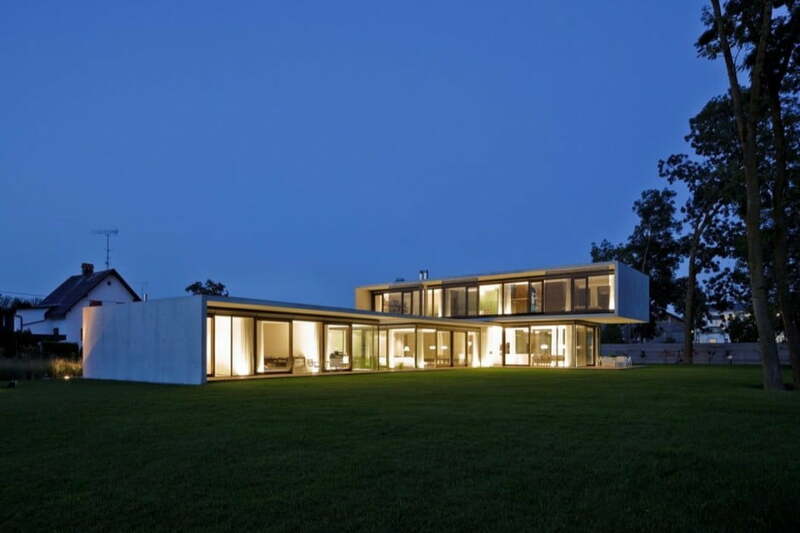 Forwarded by Dietrich Untertrifaller Architects for LK House in the town of Hard, Austria. 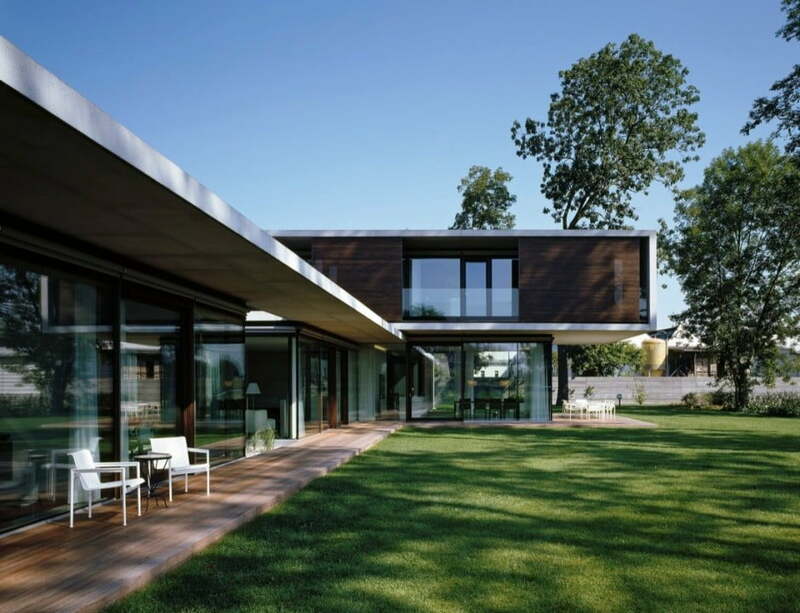 Contemporary Modern House Characteristics of LK House in Austria. 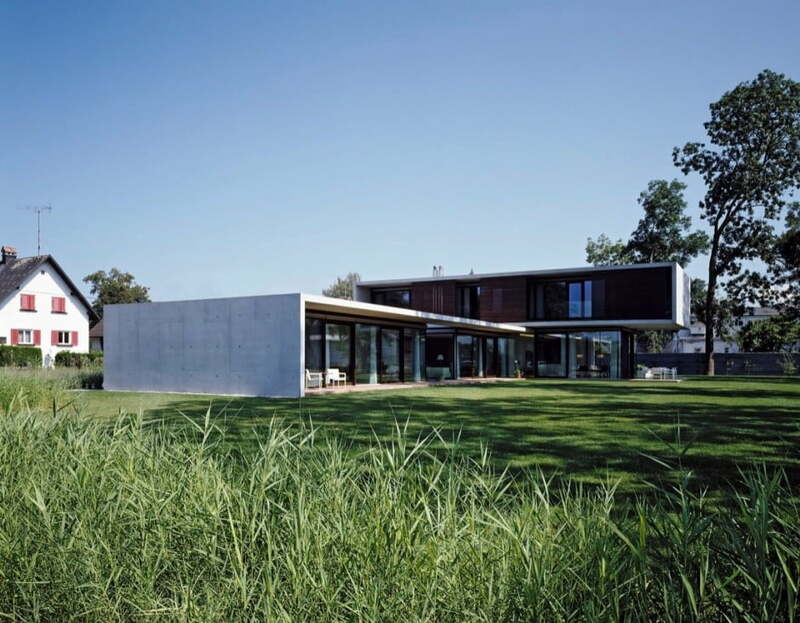 The “Contemporary Modern House Characteristics with boxes” are partially wrapped in concrete. A rough material contrasting the extensive glazing and wooden shading panels. 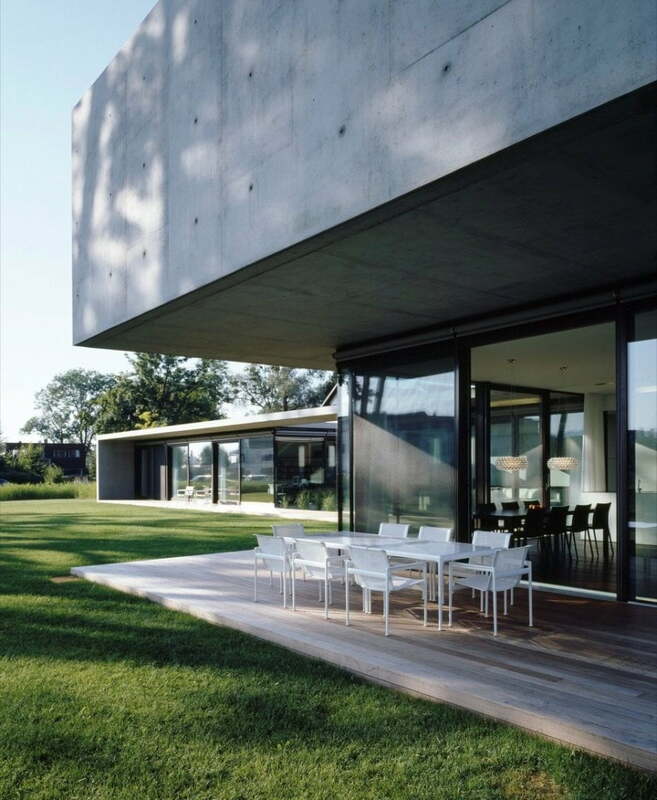 A feeling of lightness is unleashed throughout the residence, despite its imposing exterior. 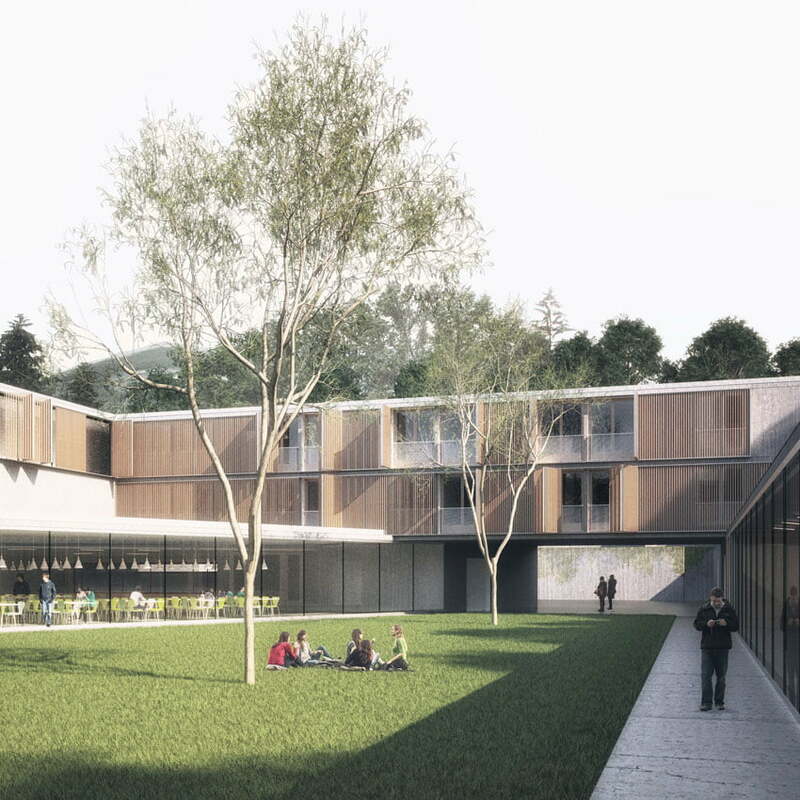 The architectural solution offers a chance for the inhabitants. To enjoy various perspective of the surroundings without compromising in privacy. As you step inside, you will notice a powerful contrast between the immaterial white ceilings and dark floors in smoked oak. 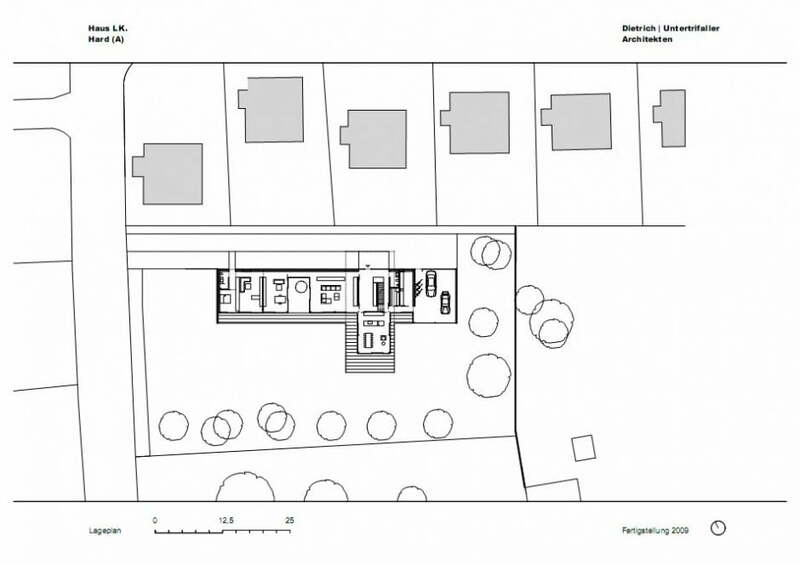 The entrant immediately sees the spatial layout as it emulates the form of the building on the outside. From the entrance at the intersection between ground floor. And the upper story placed in an orthogonal direction one floor above. A cross-shaped corridor layout can be distinguished on two levels. 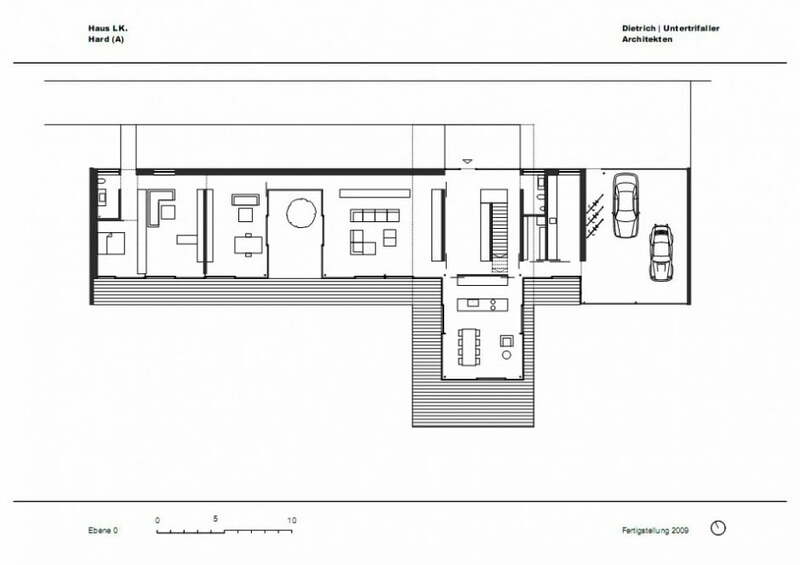 The ground floor accommodates living spaces, with the dining area. Projected towards the garden, in line with the upper story that juts out of the building. The bedrooms in the upper level offer a panoramic view of the nearby lake. Personal Garden Area of Modern House. 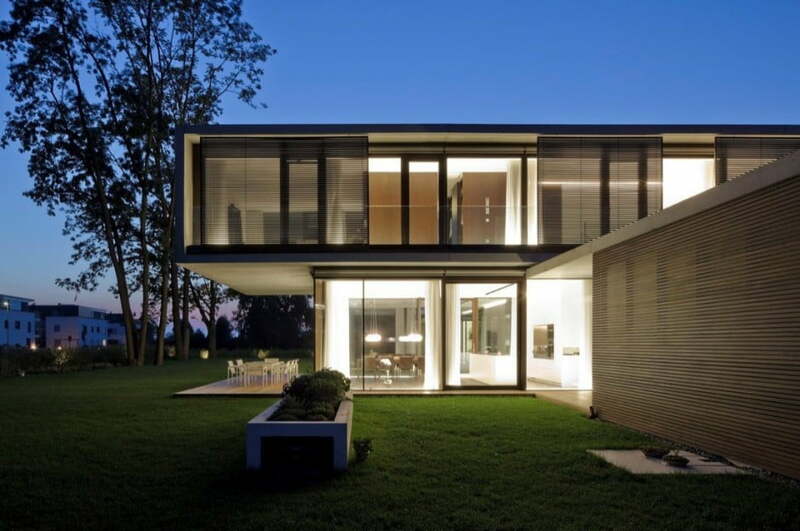 Lighting Design of Contemporary House. Living Area Design With Full Height Glass Window for Out side View. Open Kitchen Dinning Area Design Ideas Exploration. Family Dinning Space with Full Height window cover in White Curtains. 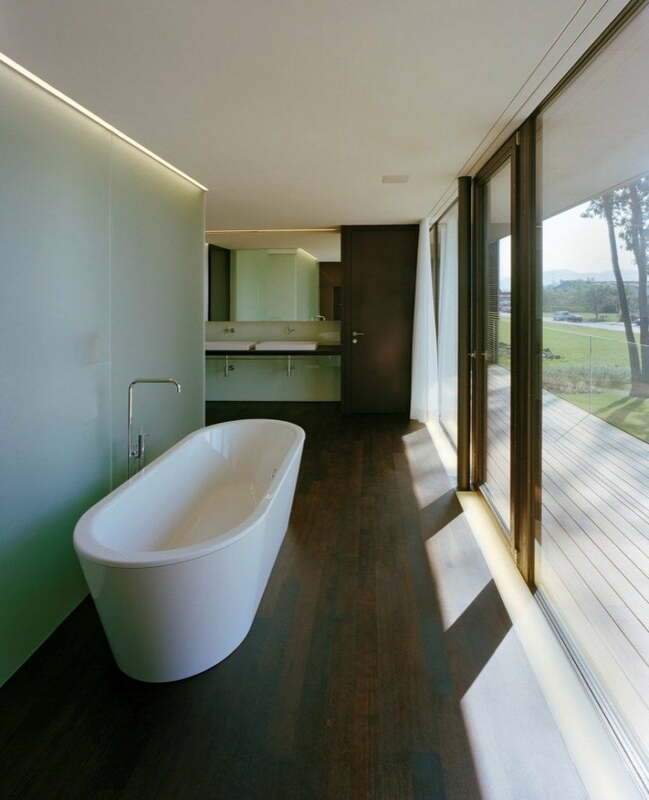 Contemporary Bathtub with a View. 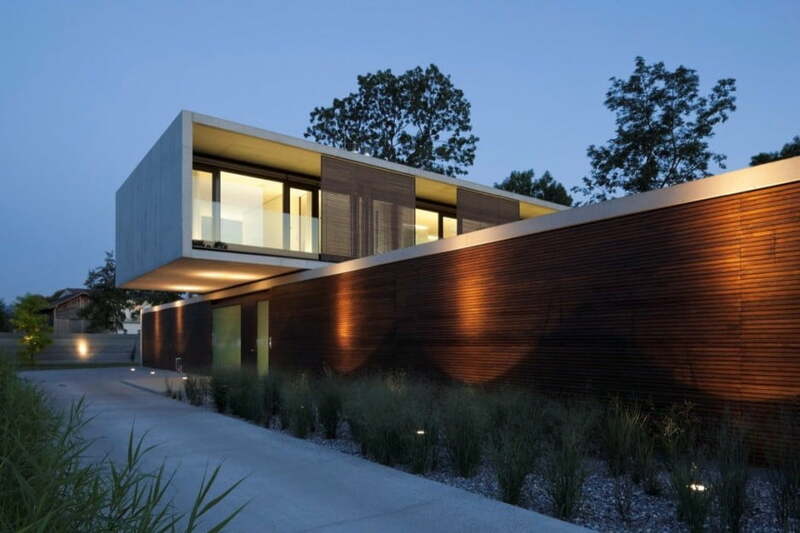 So, friends this is all about Contemporary Modern House Characteristics. How to explore with this house and just two rectangular volume put perpendicular and create such a beautifully space integration with indoor and out door space. 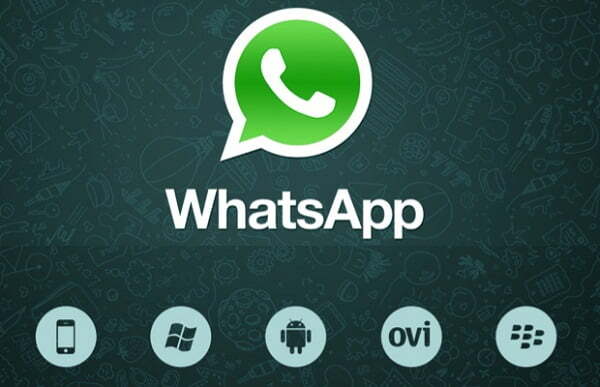 Hope you people really enjoy it.